Online roulette is a great game for casino gamblers who enjoy a leisurely, social, and relaxing game, and don’t care too much about getting the best odds or learning the best strategy, whether it is at a bricks and mortar casino or at an online casino, roulette is an exciting game for all kind of players. Roulette is a casino table game in which you have multiple choices, but the decisions you make don’t affect the mathematical odds of the game at all. In fact, only one bet on the roulette table offers worse odds than all the other bets, so the only real strategy you can use when playing online roulette is to avoid that bet. Roulette is easily recognized. It’s a big green table with a lot of different places where you can place bets on various outcomes. Those outcomes are determined by the roulette wheel, which is a spinning wheel with multiple numbered and colored slots in it. There are two versions (with several variations) that can be found, sometimes in the same casino. Single zero and double zero, both can be played online and in a brick and mortar casino. Each slot is colored red, black, or green. An American roulette table has 38 slots. 18 of them are black, 18 of them are red, and the other 2 are green. The red and black slots are numbered 1 through 36. The green slots are numbered 0 and 00. The croupier (which is what the dealer at the roulette table is called) or the system spins the roulette wheel, then he spins a ball around the rim of the bowl which the roulette wheel sits in. When the ball lands in one of the slots, the bets are paid off. When visiting an online casino, players will find that there are many gambling options. Roulette comes in many forms allowing gamblers to choose their favorite variant, try something new or work on a particular roulette strategy. By understanding what options are available, players are better suited to choose a game that meets their playing needs. Below are short examples of roulette games found online so you can find the best option for your gameplay needs. One option you will find at most every online casino for roulette game play is European Roulette. In this version, the roulette wheel includes numbers 1 through 36 in red or black. There will be just one single zero on the wheel which is represented in green. The house edge is just 2.7% in this game, making it a top option for roulette online gaming in the hopes of earning a win. The return to player percentage for this game is 97.3%. Visually, this online roulette game appears the same as the European version. The numbers 1 to 36 are provided in red and black but instead of just a single zero, the game has a double zero as well. Both slots on the roulette wheel for the zero and double zero are green. Because there is an added zero, the house edge is a little higher at 5.26%. The return to player percentage is 94.74%. 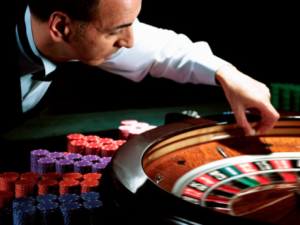 If you are following a roulette strategy, your top choice for online gameplay should be French Roulette. This game is played just like European Roulette but with a different layout on the baize. The baize is the rectangle layout on the table where bets are placed. The baize is set up like the traditional layout seen within the game when it was first created. This game has the lowest house edge at 1.35% when even money bets are placed. French roulette can help you to earn more due to the lower house edge. The reason for the lower house edge is due to the La Partage rule. With this rule, you will receive half of your event money bet back if the ball falls on zero. The return to player percentage for this game is 98.5%. 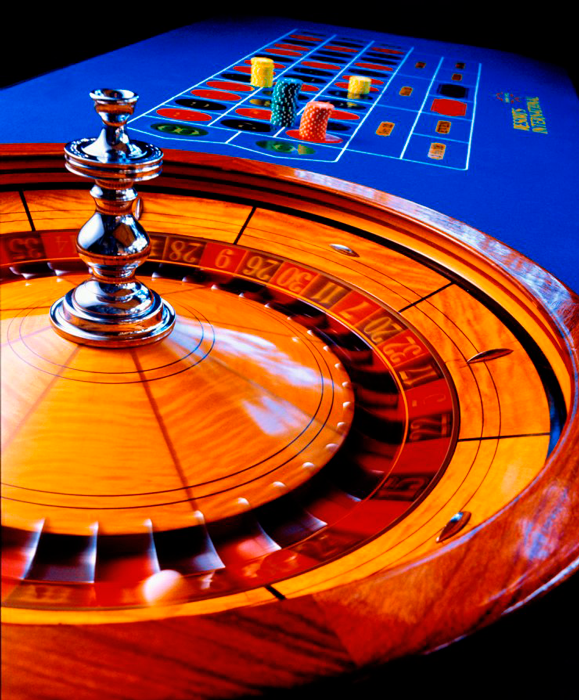 The online roulette options above are the most common forms of roulette found at top-rated casinos. However, you may find that sites offer other types with various formatting or special rules that are just as enjoyable. The variants below will provide you with additional ways to enjoy roulette, taking a break from the more traditional forms of the game. Live Dealer Roulette: In here, real dealers are placed in a studio where gameplay is conducted in real time. Players can easily chat with the dealer and other players while online. Live Streamed Roulette: another form of live dealer gaming, streamed roulette takes place within a land-based casino. A casino will stream live footage of game play, with players able to enjoy the game from home via streamed footage online. Double Ball Roulette: Want to add extra excitement to your game play? This is the variant for you. Two balls are used to offer enhanced betting options. Players who see two balls hit the same number will earn a payout of 1300 to 1, for big wins! Auto or Slingshot Roulette: This is a live version of roulette but minus the dealer. Instead of a dealer operating the roulette wheel, the wheel is controlled by compressed air. A puff of air will start the spin and another puff will see the ball fired off. This version is popular due to fast spins and quick game play. Roulette with Side Bets: This version of roulette provides players with an added option for betting. Online casinos that offer this game provide side wagers on top of the standard roulette betting, so players have the opportunity to earn more! 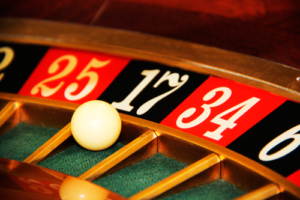 When learning how to play online roulette, the first thing to know are the game probabilities. You can bet on red or black, and you’ll win even money if the ball lands in a red or black slot. Or you can bet and win even money on odd or even, or high or low. Those bets all pay even money. It should be obvious where the house gets its edge on these bets. Even though the bets pay even money, there’s not a 50/50 chance of winning these bets. That’s because of the presence of the green slots on the wheel. A bet on red or black loses if the ball lands in one of the green slots. So does an odd or even bet, or a high or low bet. You can bet on other outcomes at the roulette table, but all of them pay out as if the green slots didn’t exist. This gives the house an edge of about 5.26%, which makes roulette one of the best games for the casino and one of the worst games for the player. The higher the house edge, the faster you lose your money. All the previously described is the definition of what is called a ‘negative expectation game’, this means that the house has a mathematical advantage over the player, therefore, it is expected that as a player, you will lose in the long run. The advantage guarantees the casino will have a percentage return over time, and thus, it also guarantees a loss for the player (even if he/she wins in the short term). Another important thing to know when researching about online roulette is the roulette gambling system. There are several roulette systems, most of them better for the house, some better for the player. This betting system tends to work best with even money bets. Most people will use this betting system to bet red or black, but it also works for odd/even wagers plus 1-18/19-36. The goal of this system is to win one bet, at any stake. Start by betting red or black. When a bet loses, the next bet should be the same size. If you win, the next bet should be one-unit size bigger than the previous bet. Once you have an overall profit, stop! Let’s say you bet $1 and then you lose. You have lost $1. The next time you bet the same, $1. You lose again so now you have lost $2. Bet $1 again and you win. So, now you are down $1. Bet again, but this time double the bet to $2. You win the bet and are now up $1. Now it’s time to stop! This betting system is quite resilient against long losing runs and certainly one to try. It is different from other systems as you are increasing the stakes when you win instead of when you lose. Most roulette systems are based on the Martingale System, which seems like a great idea in theory, but it doesn’t work very well in practice. The Martingale System has you doubling your last bet after each loss so that when you eventually win, you get your losses back plus one unit. So let’s say you bet $5 and you lose. On your next bet, you’ll bet $10. If you win, you’re up $5 for the session. But if you lose again, you now have to double your bet again. This time you have to lay down $20. If you win, you’re still only up $5 for the session. And if you lose a third time in a row? Well, now you have to bet $40. And if you win, you’re still only up $5, because of the amounts of the three previous losses. You don’t have to double your bets for long before you run into the betting limits at the casino or the limits of your bankroll. Many online casinos don’t accept bets of more than $1,000 on a spin of the roulette wheel. So if you started by making a $10 bet, and you lost seven times in a row, you couldn’t place your eighth bet of $1280, because the casino won’t let you bet that much. Fans of the Martingale as an online roulette strategy will argue that it would be extremely rare to have a streak of seven losses in a row. But in reality, you’ll have a losing streak of 7 losses in a row about once in every one hundred sessions. One of the most famous online roulette strategies players use is the Martingale system. This system can be used online and in live play. For an opposite strategy, the Anti-Martingale System is recommended. With the Martingale system, you are wagering on red or black with the goal of winning the same amount as the bet. If you win the bet, you walk away. If you lose, you double your stake. If you win after a loss, you walk away. With the Anti-Martingale System, a different approach is used. With this system, you will be risking a small amount to hopefully see a big win. When using this system, you need to choose how many wins in a row you want to win betting on red or black. You can choose 3, 4, 5 or 6, keeping in mind that your choice needs to be realistic. Make your bet. If you win, double the stake. You will need to double your stake each time you earn a win until you hit the target number you set before playing. Let’s say you want to risk $10 and you will be trying to win four times in a row. During your first seven tries, you lose before you earn four straight wins. This means you are $70 in the hole. On the eighth time, you hit on black and double up the $10 wager to $20. You hit again and then a third time. You are now up to $80 in stake. Wager that and earn a win to have $160 in your pocket. Your target has been hit so you stop playing, with a big win! 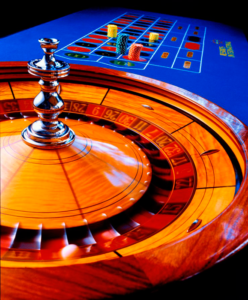 Basic roulette systems and strategies are closely related. Breaking down each system with the types of bets that can be made and reviewing certain moves can help players better understand each system or strategy type and choose which one to try. With any of the strategies mentioned above, it is important to consider which game you are playing, the amount of the initial bet and how much money you will be gambling overall. For the best outcome, you want to play the game with the lowest house edge. This would generally be French and then European. French online roulette has a house edge of 1.35% while European has the house edge of 2.7%. This is the lowest you will find, and both can help you see a return when the strategies listed above are used successfully. To get better at the game of roulette online experience is key, however, it doesn’t hurt to have a few tips to rely on as well to increase the fun factor as well as your chances of winning. Use the tips below to improve your gameplay chances. Choose the right online casino. Be sure to choose an online casino that offers a quality selection of roulette options as well as bonuses or promotions connected to the game. This helps you to increase your bankroll from the start. Low House Edge. Look for online roulette games that offer a lower house edge as this will increase your chance of winning. French and European Roulette are the best option. Play Within Your Bankroll. This is an important tip to follow. Set a betting budget and stick to it. You do not want to get in over your head and spend more than you planned on. Set a bankroll for your gameplay and stick to it. Coming back another day to try again if you lose it all. Whether you are looking for an online casino to practice your roulette strategy or you wish to simply play online for real money, it is best to choose a top-rated site. Top-rated online casinos will offer you quality gaming options, the best banking methods, bonuses, promotions and friendly customer service. At BetOnline, players have a large selection of roulette games on offer including live dealer. 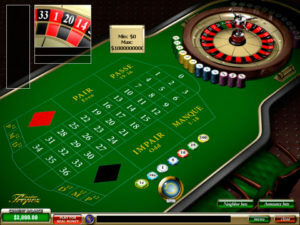 With the standard casino, roulette table games include American Roulette, European Roulette, Single Zero Roulette, Common Draw Roulette and Zoom Roulette. Betting limits range from $0.25 to $500 for most tables. With live dealer roulette, players can choose from American and European Roulette with limits of $1 to $5000 depending on the table and game type. This online casino offers the roulette games in American and European versions, both classic and standard formats. At this online casino, there is a welcome bonus that can be cleared in part with roulette gaming. The welcome bonus is a 200% match on your first deposit with up to $5,000 on offer. Players will find this bonus will see roulette clearing 5% while other games clear the bonus at a higher percentage. When it comes to players located outside of the US, there are a plethora of online casinos on offer providing a wealth of online roulette games. At Betway, players have access to a nice selection of roulette games under the table game tab of the standard casino. Options include European Roulette both standard and Gold Series, Multiplayer roulette diamond edition, French Roulette, American Roulette, Premier Roulette and Multi-Wheel Roulette Gold Series. At 888Casino, players have access to an extensive collection of online roulette table games. Easily try a number of strategy options when playing roulette at 888. In the table games section, you will find American, European, French, Low Stakes and 3D roulette. When it comes to live dealer gaming, 888casino does not disappoint. The online casino offers a nice selection of live dealer games in a variety of languages, so players can enjoy the game in their native tongue. The site also offers Immersive, Exclusive, Dragonara and Auto Roulette.